Carlos Andrade (left) and his father Joseph Andrade. BROOKLYN — A father and son died of apparent heroin overdoses while celebrating a relative's birthday at a party in Greenwood Heights, police said. 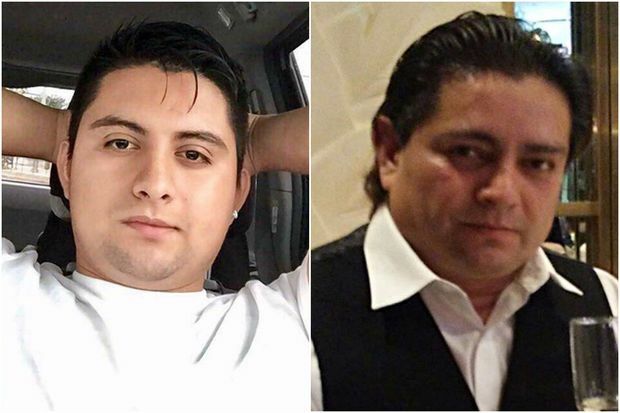 Joseph Andrade, 44, and his 22-year-old son, Carlos Andrade, were discovered unconcscious by Carlos's girlfriend in the doorway of 188 27th St. at 2 a.m. Sunday, the NYPD said. Emergency responders performed CPR on the two men and administered Narcan, which can reverse an opioid overdose, but both were unresponsive. The men were rushed to NYU Langone Hospital-Brooklyn in Sunset Park, where they pronounced dead at 4 a.m., police said. Before they were found, the two men were seen by relatives leaving the apartment building for what appeared to be a smoke break, the NYPD said. The police investigation is ongoing and the Medical Examiner will determine the exact causes of death.